If we were given a dollar for every poor-fitting t-shirt we’ve seen someone wearing, we would have enough money to fund every Kickstarter project available. 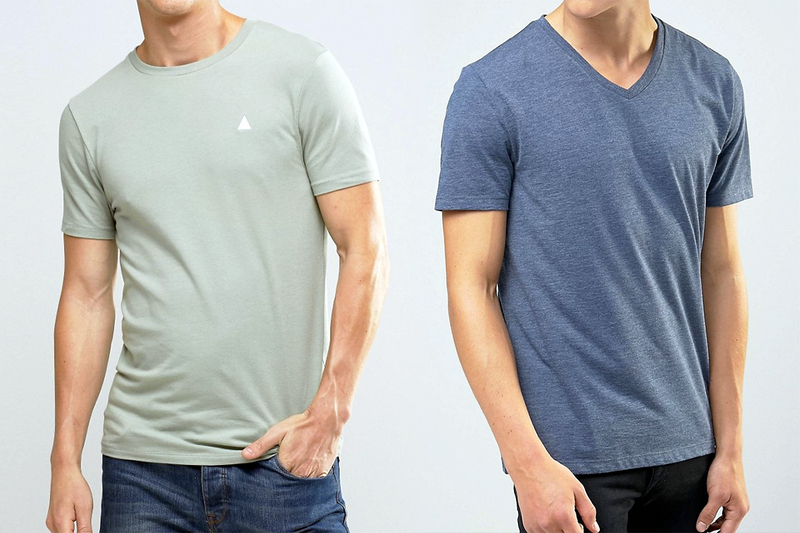 T-shirts have evolved to become such an essential piece of apparel that most people fail to realise this very important fact – good or bad style is largely determined by the fit of a t-shirt. 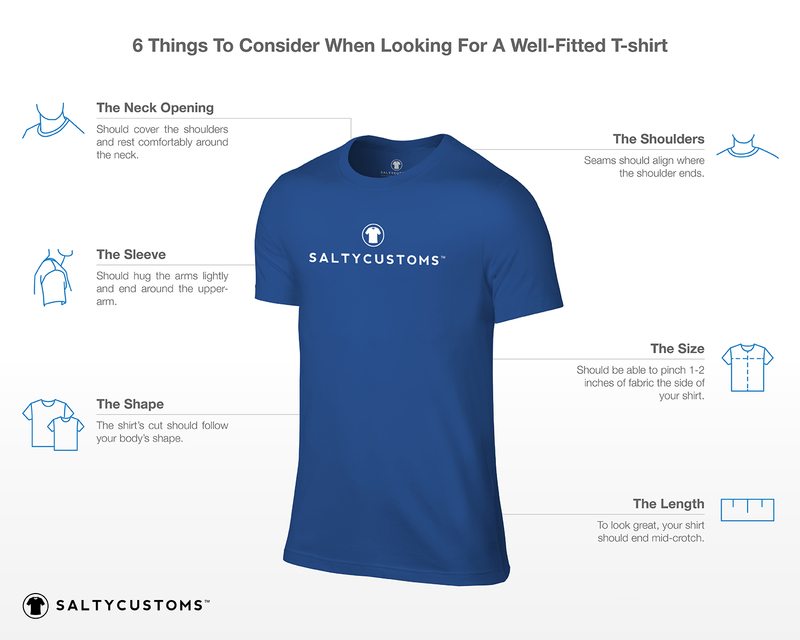 Being a custom t-shirt company that serves primarily corporations and businesses, our commitment has always been to educate our clients that the t-shirts they use for marketing purposes – be it 100 pieces or 100,000 pieces – should be made to fit well. The reason is simple: the better a t-shirt fits, the more often someone would want to put it on. And that translates to greater exposure for your brand. But, what makes a t-shirt fit well? Stay away from t-shirts that have a ‘boxy’ shape, as they will make any kind of body look awfully awkward. Instead, opt for t-shirts that are cut in a way that follows the shape of the body slightly, or better still, perfectly. To find out if the size of a t-shirt is perfect for your body is simple. If you can comfortably pinch 1 to 2 inches of fabric on either side of your stomach area, you have found the perfect size. Unless you are in the market for a cropped top or a nightgown, your t-shirts should end somewhere around the mid-crotch. Saltycustoms created Signature Fits to cater to different body types. L-R: Skinfit®, Regularfit, Chicfit, Juniorfit. Ideally, the shoulder seams should align with where the shoulder ends. Avoid shoulder seams that are positioned too close to the neck or upper-arm. The perfect sleeve should hit around the upper-arm, and they should hug the arms lightly. For crew necks, if the collar looks stretched or if parts of the shoulder can be seen when wearing a t-shirt, that means the collar is too loose. The rule of thumb when it comes to v-necks is to never ever let the bottom point of the ‘v’ extend beyond the top of the armpits.